According to Jack Hussey, the experience of being sacked as Chelsea manager made Andre Villas-Boas a bigger man, and a better manager. Tottenham fans can, he believes, learn the same lessons as Villas-Boas has, and grow to understand and appreciate that sometimes managing a football club isn't as simple as it seems, and handling a tricky situation properly off the field is just as important as success upon it. It’s no secret that André Villas-Boas’ departure from Stamford Bridge was acrimonious to say the least. He saw his stock as one of Europe’s most exciting, up-and-coming coaches drop to that of an egotistical upstart with ‘a personality disorder’ in next to no time. Long running battles with Brazilian defender Alex and the famously prickly Nicolas Anelka led to all-out civil war when the old guard of Frank Lampard and John Terry steamed into play. With a record of W:20 D:10 L:10, AVB was hastily shown the door by owner Roman Abramovich. Despite some questionable tactical decisions and run of poor results leading up to the sacking, it’s widely acknowledged that the majority of AVB’s problems at Chelsea stemmed from issues behind closed doors. Now, a little over a year later, we see the same man once derided and cast aside leading Tottenham to a 3-1 home defeat of outgoing league champions Manchester City in a crucial end of season fixture. This is the same man who was once said to be ‘impossible’ to work with; now seemingly adored, and most importantly respected, by those playing under him. It seems only human to approach a new job with vigour and forthright single mindedness, but sometimes one can simply try too hard. Possibly conscious of his age and the media spotlight fixed upon him following his heroics at Porto, AVB could have appeared to have been somewhat impatient. Losing sight of his own long-term vision, AVB was quick to implement his own plans at Chelsea. Casting aside established stars and chastising veteran stalwarts was never going to go down too well in the grand scheme of things, but it could be argued that this was the job he was specifically brought in to do. In contrast, to see how he has consciously changed tack in his time at Tottenham, we need look no further than the early season selection dilemma caused by the signing of Hugo Lloris, and his treatment of Brad Friedel during this. Despite Lloris having long since supplanted Friedel from the Premier League starting XI, there has still been some concern over Villas-Boas’ insistence on using the veteran American for Europa League fixtures. 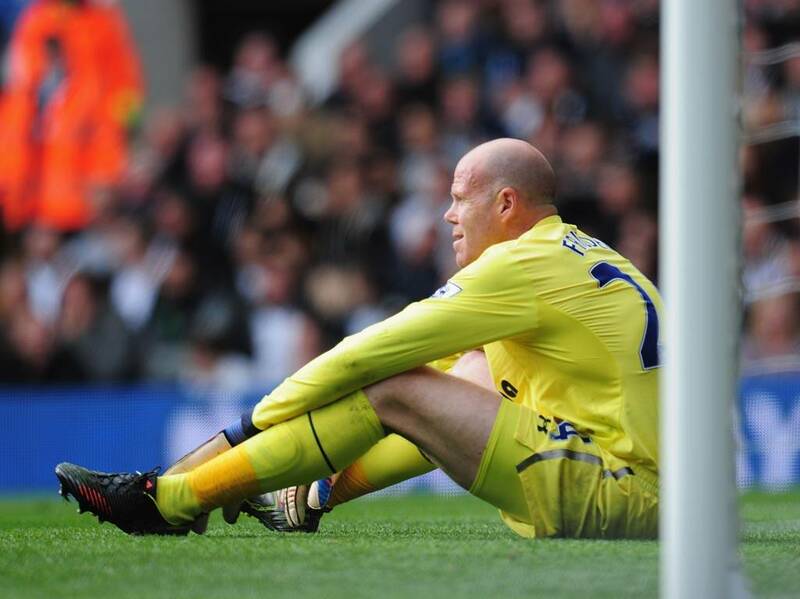 However, fan concern is far from misplaced, with Friedel’s performances undoubtedly on a downward spiral following his impressive showing between the sticks last year. Although the early stages of the Europa league may be an ideal chance to field a rotated side, the latter stages of the competition are a different beast entirely. With the chance to win a major trophy on the cards, pockets of fan discontent surrounding Friedel’s appearances against the likes of Lyon and Basel were inevitable. Were Spurs not still in contention for a top 4 finish in the league, I suspect the crowd may have been in greater voice. This isn’t an isolated case either, with former midfield ‘general’ Scott Parker also providing a topic of much discussion amongst the Tottenham faithful. Once again a player very much in the twilight of his career, Parker’s form has been patchy of late, to say the least. As our only other proven midfield enforcer in the absence of Sandro, the weight of expectation placed upon Parker has been immense, and criticism at times has been somewhat harsh. The name currently on everyone’s lips as the man to replace Parker is a certain young Tom Carroll, who despite impressing during his time in the youth setup has seen his first team opportunities limited. This is certainly a point of interest given that Carroll has looked particularly gifted in his few senior outings, most notably against Basel, when his energy and vision proved crucial during a hard fought extra time period. With a manager as meticulous as Villas-Boas in charge though, it’s unlikely that the stuttering performances of senior players have gone unnoticed, but it’s essential that we don’t overlook the likely rationale behind keeping such figures happy. From the 90-minute windows of play and few media snippets we receive, it’s unsurprising how very little we know of what happens behind the closed doors of our football club. We, as fans, seldom know with utmost certainty which of the players are mates, who is looked up to and who is the loner that no one can really be arsed to speak to. Try as we may to make reasoned assumptions, it’s mainly just that, guesswork. AVB has learnt the hard way that moving things forward too quickly can backfire, that issues off the field can have a direct effect upon the results on the pitch. As much as the football club craves a top four finish, should we risk our seemingly immaculate squad harmony in search of this? If Tom Carroll continues along the path he is currently going down, he’ll permanently establish himself in the first team set up when the time is right. This could in theory create a baptism of fire for the young man, having to prove his worth when the team most needs him; however, what if the unthinkable were to occur? What if when he gets his big chance, he makes a number of errors due to the pressure placed upon his shoulders and the fans quickly turn upon him. “It was too soon for him” some may say, “he’s too small” and “he’s not experienced enough” will claim others. Would we be wasting a huge talent by not blooding him at the appropriate time? What about considering the likes of Livermore and Huddlestone, two players currently more established than Carroll in first team affairs. How does one go about accounting for the likely unhappiness they’ll have at being overlooked even further by the manager? Our coaching network is built up of specialists in the field of youth team football, nurturing emerging talent for first team action. Keeping players like Tom Carroll on the sidelines is highly unlikely to be a decision born out of pure belligerence. AVB has a long-standing vision of where he wants the club to go, and how he wants to get us there. We can only speculate upon what the manager’s aim for this season is, after all for all we know, finishing outside of the top four has already been factored in to the long-term plan. With the league as strong as it is now, no one is really certain of a place amongst the elite group at the top of the table. Change can destroy a team’s ambition, you only need to recall the huge backward leap Spurs took when losing a player like Carrick to see this. Now multiply that by Modric, Van Der Vaart and even Ledley King for an idea of what Tottenham have been contending with this season, not to mention the media attention the comparison between our form under our current manager and our previous one, about to be relegated, still gets. For all the negativity surrounding certain decisions, Tottenham are still in firm contention for a Champions League place, they reached the quarter-final of a major European trophy and are nurturing a firm bedrock of talent that can be effortlessly interchanged within the squad as and when required. Parker or Friedel won’t be around forever in a physical capacity, but the sour taste created by a poorly managed situation can linger for much longer. For now, at least, we must place full faith in the manager and every man to don the famous lilywhite shirt when selected from now on as we approach this crucial point in our season.